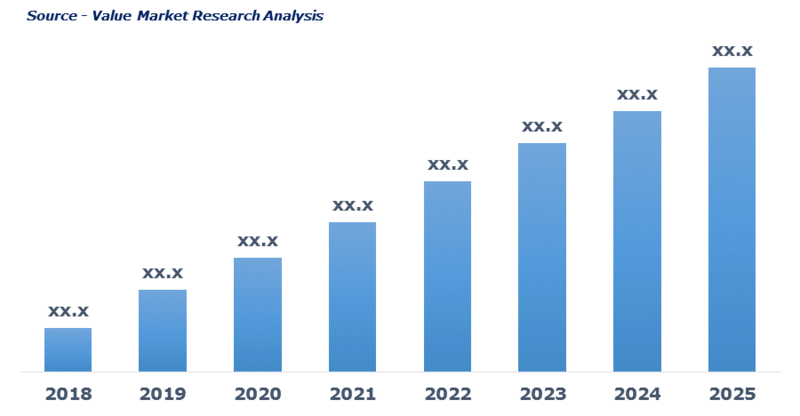 As per this study the Global Industrial Cleaning Agents Market was valued USD 45.9 BN (by revenue) in 2018 and is anticipated to reach USD 61.4 BN by 2025 with a CAGR of 4.25%. Industrial cleaners are the specially designed cleaners to remove dirt, dust, oil residue and grease from the machine parts, industrial surfaces, pipe, tools, and manufacturing equipment. It is mainly used on hard-to-clean surfaces made up of steel, aluminum, concrete, and plastics. Nowadays, biobased cleaning agents are used to ensure workers’ safety across the end-user industry. It is extensively used in paper manufacturing, food & beverage, pharmaceutical, chemical, and other industries.